Israeli Minister of Diaspora Affairs Naftali Bennett is calling on Poland to reject Holocaust-denier David Irving from entering the country to give his nine-day tour of concentration and death camps in September. 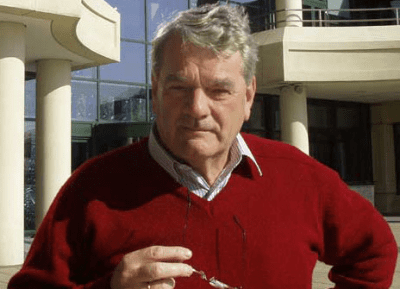 Holocaust denier David Irving. Credit: Wikimedia Commons. “I therefore respectfully request that the Government of Poland make it quite clear that Irving and his party will not be granted access to your country, and certainly not to the camps and other sites of memorial to the millions of my people who were murdered in that dark period of history,” added Bennett. The “controversial” tour, which costs $3,650 per participant, includes sites such as Treblinka, Sobibór, Majdanek and Belzec. In 2000, Irving lost a libel suit he filed four years earlier in the United Kingdom against Holocaust scholar and Emory University professor Deborah Lipstadt for describing his work as Holocaust denial in her book Denying the Holocaust. Lipstadt wrote about her victory in her 2005 book History on Trial: My Day in Court with a Holocaust Denier, which became a 2016 film starring Rachel Weisz as Lipstadt. To get the full view of Irving’s mentality, one needs to read both the book [written by Deborah Lipstadt] and view the film soon to be screened on SBS as advertised.